Normally, LD Cody James likes to have some time to prepare for a new show, but as the Rolling Stones so aptly put it years ago, “you can’t always get what you want.” Recently James was called upon at the eleventh hour to create a lightshow for Brown University’s “After Dark Party,” an annual EDM event that draws about 1,500 fans. 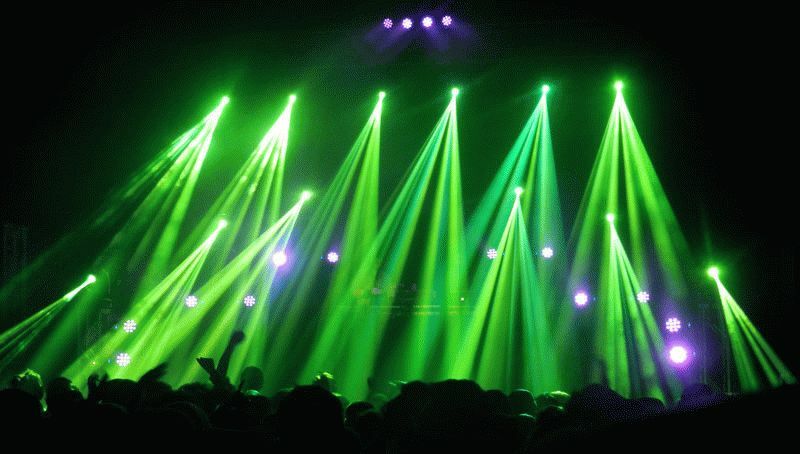 Without the luxury of a lot of prep time, the LD from JDI Productions needed a rig that he could set up in a relative heartbeat; he turned to a collection of user-friendly fixtures from CHAUVET Professional for help. James credits the color rendering capabilities of the CHAUVET Professional fixtures with helping him create a powerful visual impression on stage. In addition to 14 solid colors plus white, the Legend 230 SR has a color wheel that delivers seamless split colors. The Legend 412 features 12 quad-color RGBW Cree LEDs controllable in quadrants. The Brown University After Dark Party was headlined by the Los Angeles-based high powered festival bangers, The Bixel Boys, plus Vito and Druzzi, original members of the legendary New York indie dance-punk group The Rapture.